Santoku knives are probably the best known Japanese knives to appear in a European kitchen. Due to its versatility, the santoku knife is popular for a range of kitchen tasks, and indeed its name 'santoku' means 'three virtues', relating to three everyday techniques; slicing, mincing and dicing. 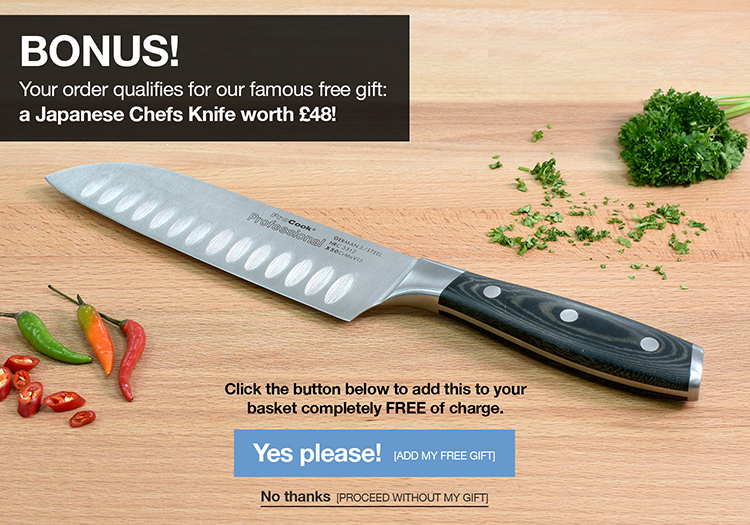 A good quality, sharp knife, the santoku knife is designed to undertake many kitchen prep tasks. With an extremely sharp edge a santoku knife blade is thicker at the handle and finer at the tip, and makes light work of both cutting through a tough root vegetable or finely slicing a herb. The scalloped blade on a santoku knife creates air pockets which allow vegetables to slide off the knife, enabling you to work faster. All knives in the ProCook Damascus X100 VG10 range are crafted from high quality Japanese Damascus steel, acknowledged as the best material in the world for its strength. These are super sharp knives, able to hold their edge for longer due to the 67-layer construction and tough central core.